14 CACP Fall 2018 Frank Bergen, Deputy Chief of the Hamilton Police Service Pam Mizuno, Deputy Chief of the Windsor Police Service Eric MacNeil, Chief of the New Glasgow Police Service Mike Serr, Chief of Abbotsford Police Department Kyle Melting Tallow, Chief of the Blood Tribe Police Service Uday Jaswal, Deputy Chief of the Ottawa Police Service POLICE LEADERSHIP APPOINTMENTS: The CACP congratulates the following members on their appointments. G un and gang violence continues to be a concern, especially in large, urban communities, who are witnessing a surge in gang-related activity, largely centred around the illegal drug market. Firearm-related homicides have been steadily increasing. In Canada in 2016, 141 of a total of 223 homicides were gang related. In response, the Government of Canada introduced funding of $327.6M over 5-years, and Bill C-71 – An Act to amend certain Acts and Regulations in relation to firearms, as part of an overall strategy to help combat guns and gangs and prevent victimization by way of firearms. The CACP was well represented at the Minister of Public Safety's Summit on Gangs and Guns in March, 2018. In May, 2018, CACP President, Directeur Mario Harel was joined by Toronto Police Service Superintendent Gord Sneddon (Organized Crime Enforcement), to present to the House of Commons Standing Committee on Public Safety and National Security on Bill C-71. The CACP supports Bill C-71 which strengthens background checks, licence verification, record-keeping by vendors and transportation of restricted and prohibited firearms, and relies on the professional expertise provided by the RCMP to classify firearms and to do so without political influence. During the CACP 2018 annual conference in Halifax, the CACP Board of Directors agreed to the formation of a Special Purpose Committee to examine the issue of gun violence in Canada. The CACP places its highest priority on Canadians' right to public safety and the protection of the most vulnerable amongst us. We also recognize privileges afforded to law-abiding gun owners and the need to ensure that they must not be unnecessarily penalized. 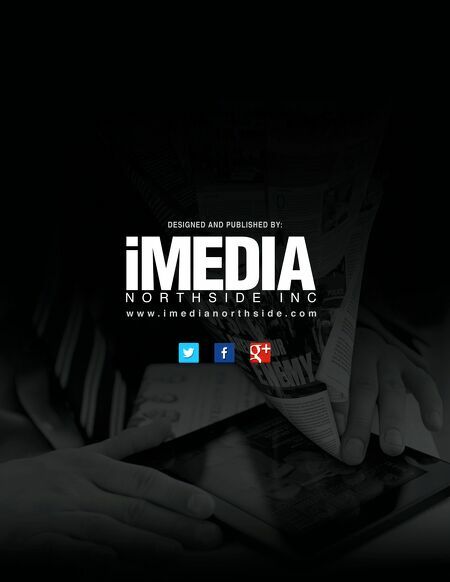 The new committee, currently being formalized, is tasked with reporting back to the Board of Directors in early 2019. 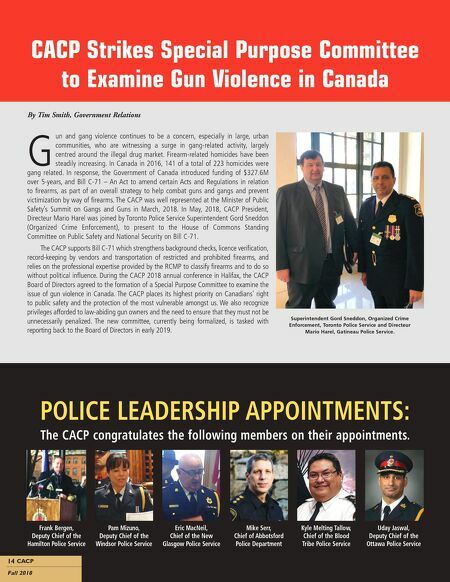 CACP Strikes Special Purpose Committee to Examine Gun Violence in Canada By Tim Smith, Government Relations Superintendent Gord Sneddon, Organized Crime Enforcement, Toronto Police Service and Directeur Mario Harel, Gatineau Police Service.